HiSoundAudio company is firstly made up of a team of the senior audiophiles who are enthusiasm on audio products design, develop and manufacturing the hi end audio equipments. We have been pursuiting to merge the Chinese culture and audio technology together. We have formed the unique sound character of Hisoundaudio. Over the 15 years, we have been deeply studied the possibility of the perfect reproduction with the audio equipments. We have analyzed the characters of the famous high end audio. And studied the sound wave information which take from the various music halls. Through the comprehensive combinations of the experiences, we have formed the technical system and theory system of the audio products. We hope to reach the high sound quality as the world famous equipments with lower price. It is because we have our own music ideals and audio products design theory. Our unique technology made our products are different from the England sound or American sound. It is called "Hisound". The name of hisound means "Chinese character sound". Moved by music, love by moving. "Let more listener enjoy the music" is the ultimate target of HiSound’s products. To share the sweet music with more massive people, besides keep our traditional home hi-fi equipments department, we enter into the portable audio field. We make use of the experiences and technical platform which gathered from the years practice on the home audio products to provide the whole solutions of portable audio. 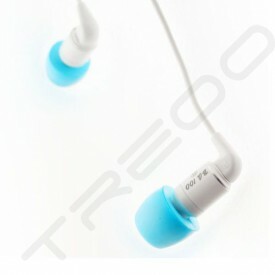 We have developed the PDAA Series players and PAA-1 Series earphones. Our players and earphone will bring the live music playing directly to your ears. We upgrade the portable audio to be the hi-fi grade. Our products are highly praised by Hi-Fi World, What Hi-Fi, Hi-Fi News, Hi-Fi Choice. It indicates that HiSoundAudio is one of the top portable audio products provider in the world.